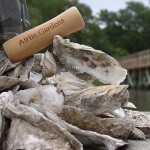 Since 1999, Airlie Gardens has provided hands-on environmental education for thousands of schoolchildren. Programs range from plant adaptations to salt marsh ecology and have been recognized state wide for their rigor and student engagement. Other education programs such as bird hikes and butterfly releases increase our citizen’s knowledge of local natural resources and biodiversity.